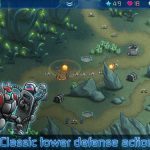 DeNa Corp. is well-known for its mobile games based on popular franchises, and one of its latest such titles is Transformers: Battle Tactics. 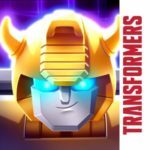 This iOS and Android title is an exciting turn-based strategy game that comes with over 75 Transformers characters, including some of the most iconic of them all – Optimus Prime, Bumblebee, and Megatron, to name a few. You can build teams consisting of Autobots (the good guys) and Decepticons (the bad guys) and have them fighting side-by-side, with your common “enemy” being other human players from around the world. 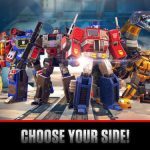 So if you want that extra advantage over your opponents, feel free to check out list of Transformers: Battle Tactics cheats, tips and hints. 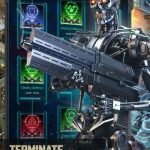 In this game, you’ll earn Cybercoins, which you can then use to upgrade your robots’ Transformer and vehicle versions alike. But you shouldn’t upgrade everyone in one go – what you would want to do instead is to single out two or three Transformers who have been especially instrumental to your success in the early goings. These are the ones you want to prioritize when it comes to your early upgrades, so you can have a better chance of winning against your opponents. Engaging in battles, and more importantly, winning those battles allows you to increase your recruit level occasionally. A higher recruit level means more chances to add to your party by unlocking new Transformers; if you see someone whom you believe would be a boon to your team, recruit him. It’s a good idea to unlock as many new Transformers as possible, and focus on all of the recruitment tiers available. After you’ve unlocked everyone there is to unlock, or at least most of the available robots, you can form three teams of Transformers, with four members each. Our suggestion is to have one all-Autobot team, one all-Decepticon team, and one that mixes both sides. They say first impressions last, but as far as battles in Transformers: Battle Tactics go, it’s your first strike that will be the most important one of them all. Most of the time, the team with the most first strikes would end up winning the battle. That said, you’ll need at least two Transformers in any given party to have a blue lightning icon next to their name. We’ve noticed that it’s easier to achieve success if your team of Transformers is a mainly offensive-oriented one. If you direct your ability points towards powerful offensive skills, e.g. Air Strike, Orbital Strike, etc., your chances of winning battles could significantly improve. However, you should also have some non-offensive skills built up, and typically this would be your Targeting. This allows you to single out the most powerful member of an opposing team, regardless of when you use it in battle. Synergy is essentially your team’s chemistry, and having said that, you’ll want to pay close attention to the robots in your team. If you’ve got the right blend of Transformers, you’ll earn a synergy bonus, or a “set bonus” – that gives your entire team a buff, which could be the hidden “x-factor” you need to win a tight battle against another player.